For Bill & Wilma CDs and song lists, click on Discography link below. Bill & Wilma at the Stewart Cabin on Big Santeetlah. 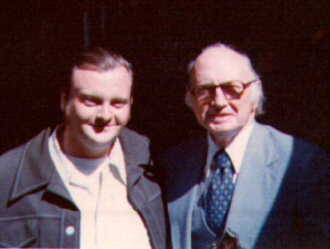 My dad passed away suddenly January 26th, 2009. This is his obituary as it appeared in "The Graham Star". William Roland “Bill” Millsaps, 60, of the Cochrans Creek community of Robbinsville, passed away Monday, Jan. 26, 2009. He was a native of Graham County and the son of William Arthur Millsaps of Robbinsville and the late Erma Jean Turbeville Millsaps. In addition to his mother, he was preceded in death by his grandparents, Ed and Fannie Rogers Turbeville and Jeff and Ida Shope Millsaps, all of Robbinsville. 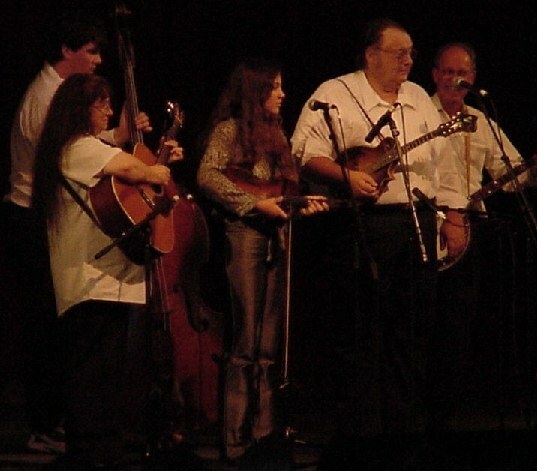 For many years Bill was the leader of the Snowbird Mountain Boys bluegrass band, writing and recording many songs. He was also instrumental in compiling data for the Graham County Heritage Book and was editor of the Native Mountaineer Newspaper for three years. 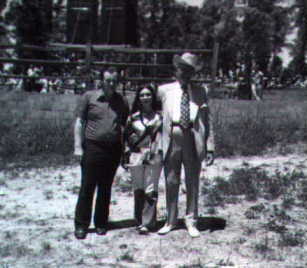 His greatest pleasure was teaching fiddle and mandolin music to the children enrolled in the Stecoah Valley Center after school program. Poor health eventually forced him to retire. He was a dedicated member of the LDS Church and spent many years working on the genealogy of his and his wife’s families. He is survived by his wife, Wilma Wakefield Millsaps, formerly of Tellico Plains, Tenn.; daughter, Ida Ruth Millsaps, of Modesto, Calif.; son, William Stephen Millsaps of Robbinsville; three grandchildren; brothers and their wives, John Arthur and Lisa Millsaps, James Henry and Angela Millsaps; and five nieces and nephews. Graveside services were held at 1 p.m. Wednesday, Jan. 28 at the Old Mother Cemetery with Rev. Jimmy Millsaps officiating. Arrangements for a memorial service will be announced at a later date. Townson-Smith Funeral Home is in charge of the arrangements. An online register is available at townson-smithfuneralhome.com. This page is as it was when my father was last able to update the information. (With the exception of the birthday clock. It's just too tough to look at, actually.) The music store is now closed down. My mother still lives in Robbinsville...and continues to play music. 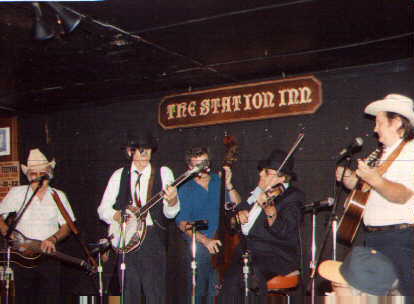 We hope to eventually post some of the videos from their past television show appearances and performances. Mom is a much better singer and guitar player than a webmaster...so we're trying to help her get that all squared away. Thank you for stopping by the page. 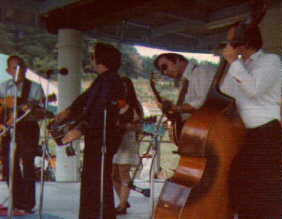 Bill and Wilma Millsaps were married in 1967 and they organized the Snowbird Mountain Boys in 1969. Cas Walker was one of the more colorful characters they worked for when they first started. 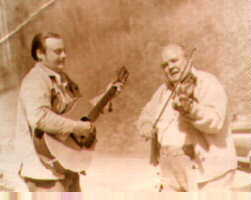 They played the Smoky Mountains and Knoxville, Tennessee area until they were hired by Tommy Scott to travel with Col. Tim McCoy's Wild West Show, traveling all over the country doing one-nighters. 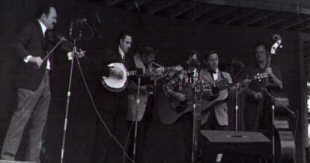 After a while, they settled back down in the mountains and Bill worked and recorded with bluegrass greats like Carl Story and the Rambling Mountaineers, Bobby Smith and the Boys From Shiloh and toured about three years Kenny Baker and Josh Graves. 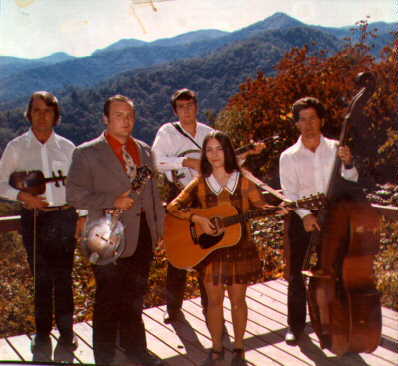 The music of the Smoky Mountains is deep-rooted. It is full of soul. It is "Scottish tones and Indian moans," to quote their late friend John Hartford. Inner feelings burst forth in powerful expression as Bill and Wilma perform the numbers handed down from their native region. They've devoted their lives to preserving and performing this kind of music. They are both accomplished songwriters and they always include a tasteful selection of their own compositions during their concerts. There is never a dull moment while they are on the stage performing. No two songs are ever alike and they enjoy doing the old sacred numbers as well as the secular material. 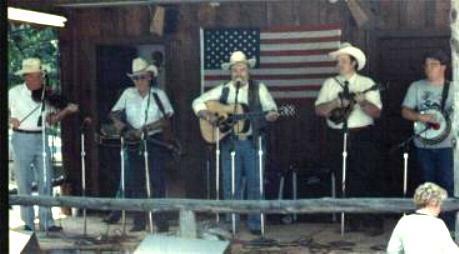 For a special treat, they sometimes do a few songs in the Cherokee Indian language. They are basically serious about the content of the numbers they select to perform. Their show is always clean and presentable in any setting - a family-type performance that is suitable for all age groups everywhere. 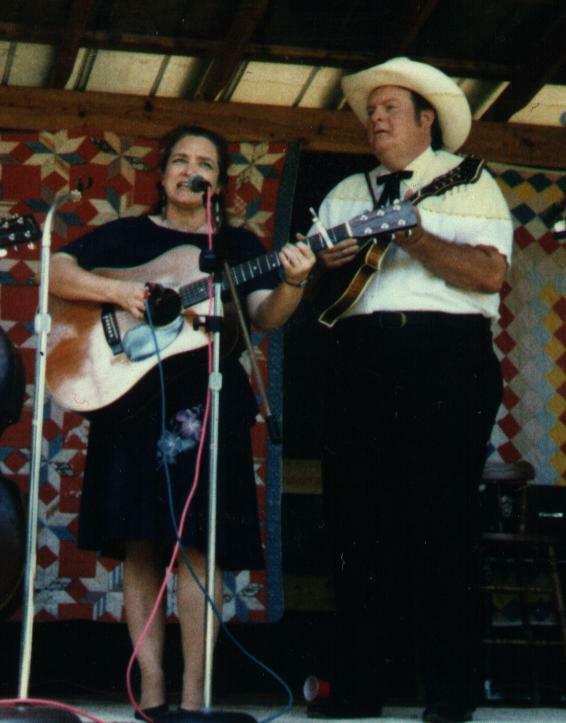 Bill and Wilma's musical instruments were handcrafted by Bill; his F-style mandolins in 1973 and 1978 and Wilma's herringbone guitar in 1996. 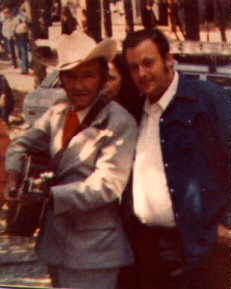 He made his banjo in 1981 and his Dobro-style guitar in 1983. They love to discuss music-making in all its aspects, from workshop to the stage. Making music has been their life. 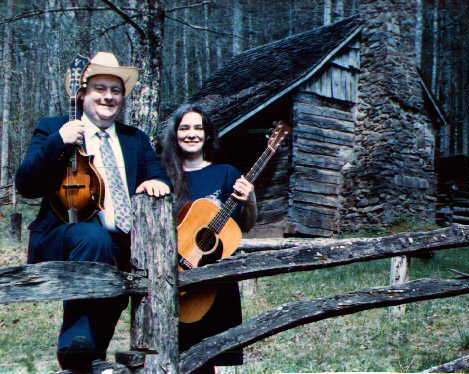 They have numerous recordings to their credit, having been with one of the pioneer bluegrass labels, Atteiram Productions, since 1974. 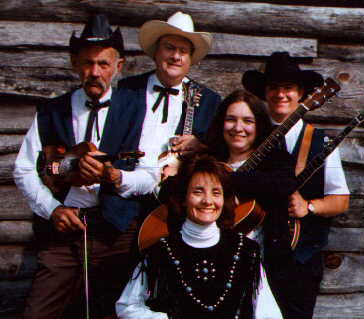 They've traveled extensively in over 30 states, playing to audiences both large and small. Bill & Wilma have carried their distinctive Snowbird Mountain sound everywhere from backcountry gatherings to the Olympics. Please remember Wilma in your prayers. She has "fibromyalgia," a very painful disease similar to rhumatoid arthritis, except it is in the muscle instead of the bone. Each and every prayer will be appreciated because we believe God answers prayer! 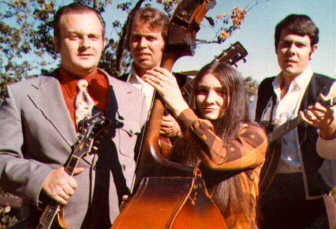 (L-R)Wilma; Stephen Millsaps on Bass; Abigail Moore on Fiddle; Bill and Harold Schiffman on Banjo. 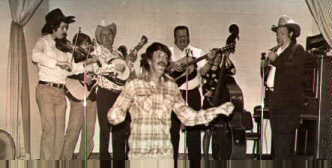 CLICK HERE for Snowbird Mountain Band Members over the years. Deals Gap in Graham County - Information on Travel and Tourism in Graham County, North Carolina. Choose from different areas that limousine services are available. Chocolate Molds & Candy Molds. 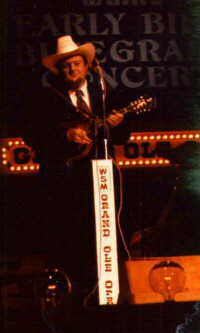 this was before Monroe's mandolin had the name and scroll restored.